eTrack provides centralized governance and control of your portfolio, programs, projects and resources and is beautifully easy to use. It is a “mini ERP” with all the features you have dreamt of, interfacing to your accounting package. eTrack has very small setup time and costs compared with similar systems and can be installed locally or used in the cloud. Every staff member has their own licence so they can all be continually logged in anywhere in the world. eTrack has different out-of-the-box configurations specifically tailored to your business, for example software companies or IT departments of universities, banks, insurance or superannuation etc.. The pictures shown in this web site can be configured for any Industry. Feature rich, 15 years mature and proven, robust and fast. Consistent, intuitive user interface requiring minimal user training. All staff can access all day – no concurrent licences so you never need to log out! Minimal deployment time and costs compared with like systems. 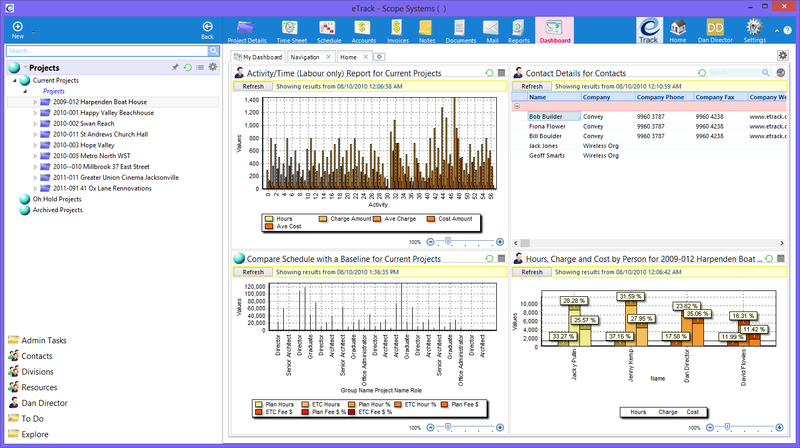 Word class graphical scheduling and resource management, auto updated from Timesheets. Complementary Maintenance Console to make IT support a breeze. Install locally; allow us to host it in the Cloud; or install your own private cloud. Used and endorsed by government audit offices providing you with due diligence of quality and maturity. We will never stop you accessing your data. If becomes read only for the period you stop paying. 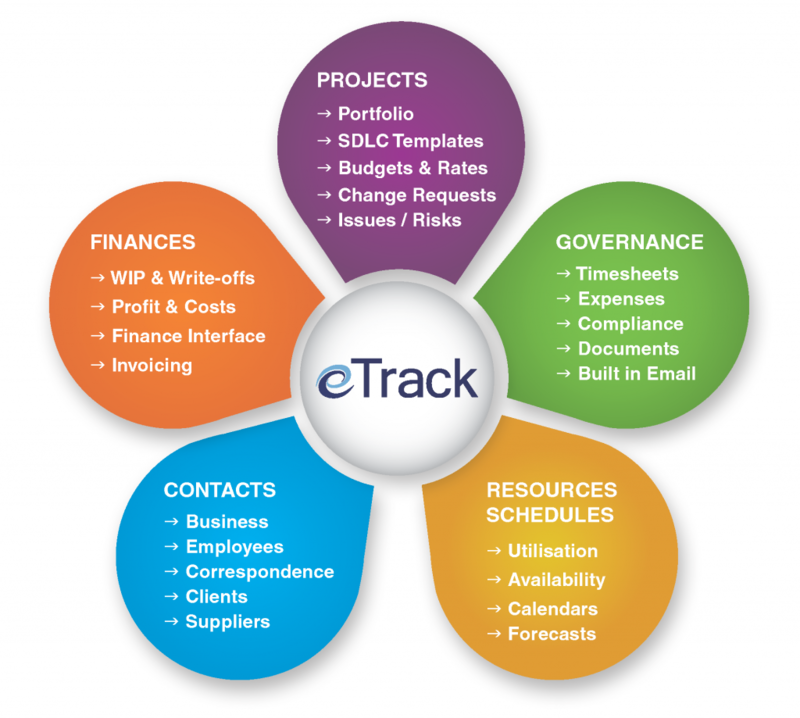 eTrack has a modern clean, intuitive user interface with fast navigation. The core developers have been with the company since the start in 1999 and maintained a consistent approach which means minimal training.